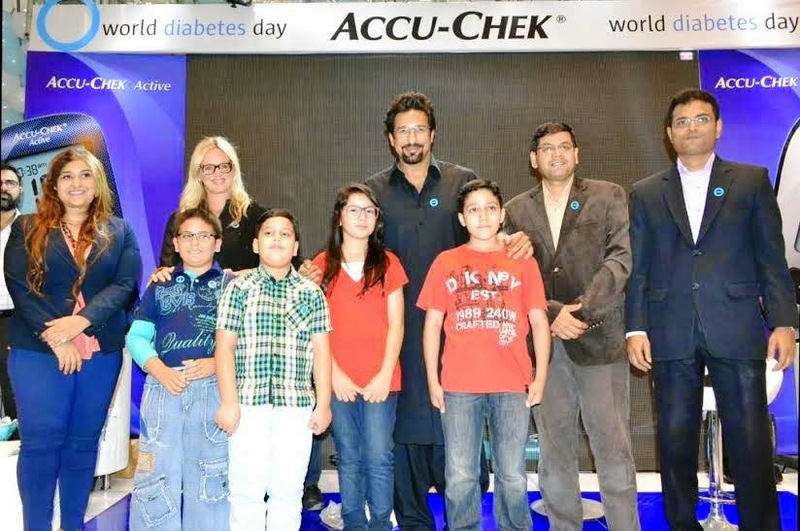 Accu-Chek and the legendary Wasim Akram continued their efforts to raise awareness of Diabetes in Karachi as they intensified their pursuit to educate the masses about how to live better and healthier by disciplining their lifestyle. The message that was being conveyed was that people can live an active life with Diabetes if they keep their blood glucose level within normal range by taking healthy diet, moderate physical activity and regular medication. As a part of their efforts revolving around the World Diabetes Day (WDD), the Accu-Chek team and Akram were present at Dolmen Mall, Clifton in Karachi to spread awareness about maintaining healthy lifestyle to keep the diabetes in control. Addressing the public at the event, Akram said: "I've accepted Diabetes like a challenge, and I have been fitter than ever before. And I can proudly say I'm not controlled by Diabetes, rather I control Diabetes." Akram has been suffering from Diabetes since age of 29 and has become a global ambassador for the fight against Diabetes. He joined hands with Accu-Chek Pakistan as brand ambassador in 2001 and ever since working relentlessly to raise awareness and education of diabetes. Accu-Chek is a blood glucose monitoring device by Roche. As a research-focused healthcare company, Roche discovers, develops and provides innovative diagnostic and therapeutic products and services that deliver significant benefits to patients and healthcare professionals. They have a workforce of over 80,000 people working together across more than 150 countries, encouraging each other to always strive to improve the lives of those around them. Roche Diabetes Care (RDC) develops and commercializes blood glucose monitoring systems that enable people with Diabetes to manage their condition more effectively. RDC not only offers individual product innovations but integrated Diabetes management solutions meeting the everyday needs of our customers for an optimized therapy management. 9 types of people in WhatsApp Groups!